Photographs by Adam Bartos. Text by Christopher Hitchens. Verso, New York. 104 pp., numerous color illustrations, 9½x9½". 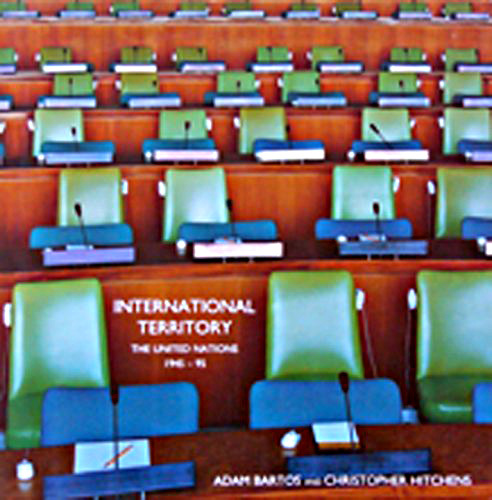 This fascinating book takes a look into the world of the United Nations building in New York. Adam Bartos' color photographs capture the architecture and design elements of the building, portraying a specifically mid-century vision. His photographs also work beautifully on an aesthetic level by themselves. The irony of the now dated super-modern design shown in the photographs provides a striking insight into the function of the United Nations, the most modern political assembly of our time. With informative and well-written text by Christopher Hitchens.